High-kicking redheaded dancer, choreographer, and actress Gwen Verdon (b. Culver City, CA, January 13, 1925; d. Woodstock, VT, October 18, 2000), was acknowledged in the 1950s and ’60s to be the best dancer on Broadway. Her role as Lola in both stage and screen versions of Damn Yankees (“Whatever Lola Wants, Lola Gets”) is still vividly remembered. She won Tony Awards® for her first four starring roles (in Can-Can 1953, Damn Yankees 1955, New Girl in Town 1957, Redhead 1959), and nominations for the two that followed (Sweet Charity 1966, Chicago, 1975). Gwyneth Evelyn Verdon was the second child and only daughter of Gertrude Standring and Joseph Verdon, immigrants to the United States from Britain. Her father worked as an electrician for MGM Studios; her mother, a former vaudevillian in the troupe of Ruth St. Denis and Ted Shawn, had her own dance studio in Culver City and was a dyed-in-the-wool stage mother. She studied every conceivable form of dance: ballet, tap, jazz, ballroom, Balinese, flamenco, even juggling. At the age of eleven she made her film debut as a solo ballerina in The King Steps Out (1936), starring Grace Moore and Franchot Tone. While still at Hamilton High School in Los Angeles, she was in a revival of Show Boat. But suddenly, to everyone’s shock, she interrupted her promising career at seventeen to elope with James Henaghan, a reporter. Five years later, Gwen was twenty-two, a mother, and divorced. She decided she needed a job; parking son Jimmy with her parents, she went to work writing gossip and movie reviews for the Hollywood Reporter. On one assignment she ran into choreographer Jack Cole and realized she would be much happier working as his assistant on Broadway (Magdalena 1948) and dancing again (Alive and Kicking, Broadway debut 1950). Disappointed with the results of their New York projects, Verdon and Cole returned to Hollywood. Almost always uncredited, she appeared as a “specialty dancer” in On the Riviera (1951), David and Bathsheba (1951), Meet Me After the Show (1951), Dreamboat (1952), The I Don’t Care Girl (1953), and The Farmer Takes a Wife (1953); Jack Cole was the choreographer for all these films. The Mississippi Gambler (1953) boasted Gwen Verdon herself as choreographer, though as a dancer she was once again uncredited. Verdon’s main job was coaching the stars on how to move. Offended, Verdon announced her intention to quit the show – maybe even give up dancing altogether. But her “Apache Dance” had not been cut, and an extraordinary mishap at its climax on opening night was of the stuff that makes Broadway legends. Gwen was supposed to seize a knife and plunge it savagely into the breast of her partner. When she reached for the knife, the handle came off in her hand, without even the semblance of a blade. With a quick ad-lib, she pulled the guy to her and kissed him. The audience leapt to its feet and started chanting her name as she hurried to her dressing room for a costume change. A producer rushed backstage to tell her she had stopped the show and had to come back immediately for a curtain call. She did – in her bathrobe. 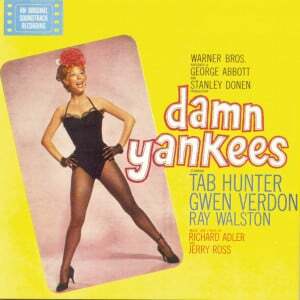 The papers next morning could tell of nothing but Gwen Verdon, and soon she had her first Tony Award®. Can-Can ran for 892 performances, though Verdon left in September 1954. Lilo stayed on for the whole run. 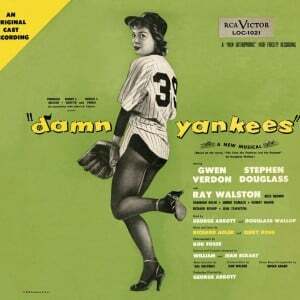 Verdon was back in Hollywood working with Cole when Broadway producers approached her to play Lola, the Devil’s Number One Seductress in Damn Yankees, a musical about a baseball fan turned slugger who sells his soul to the Devil so that the Washington Senators can beat the Yankees. Reluctantly, she signed on and found herself working with twenty-eight-year-old choreographer Bob Fosse, taking “direction like I’ve never had in my life. . . . Bob choreographs down to the second joint of your little finger.” From that point on, the lives and careers of dancer and choreographer were inextricably bound together. Though Fosse was married at the time, he became her collaborator, lover, and eventually husband. They were married in 1960, separated in 1971 (Fosse was anything but monogamous), but never divorced. 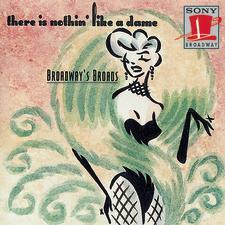 Opening in May 1955, Damn Yankees was a smash hit, winning seven Tony Awards®. It ran for 1,019 performances and was made into a film, with all the Broadway cast but one (Stephen Douglass was replaced by Tab Hunter). 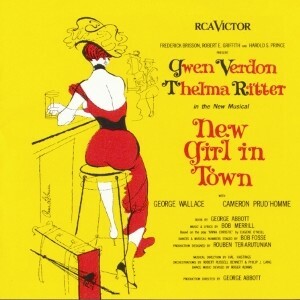 In Verdon’s (and Fosse’s) next Broadway musical, New Girl In Town (1957), she played a prostitute returning to her small-town home for a better life. Verdon tied with her co-star Thelma Ritter for the Best Actress Tony® this time. In Redhead (1959), one of her favorite shows, she was Essie Whimple, under threat from Jack The Ripper. 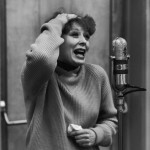 The role brought Verdon a Grammy Award® for the cast recording as well as her fourth Tony®. Now Gwen Verdon took a six-year leave of absence from performing, to have and raise her second child, Nicole Providence Fosse, born in 1963. She returned in 1966 with Neil Simon’s Sweet Charity, staged and choreographed by Fosse, earning a Tony® nomination but breaking her winning streak. She served as Fosse’s assistant choreographer when the show was filmed with Shirley MacLaine in 1969. To develop a new vehicle for Verdon, Fosse proposed to the songwriting team of Kander and Ebb that they adapt the play Chicago – the jazz-age story of chorus girl Roxie Hart who shoots her lover and gets off scot-free – as a musical. Just after rehearsals began, the director/choreographer suffered a heart attack. 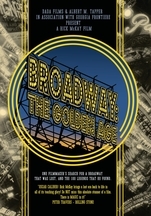 The show was further jinxed when a few weeks after its opening in 1975, A Chorus Line, the runaway hit of the year, came to Broadway. 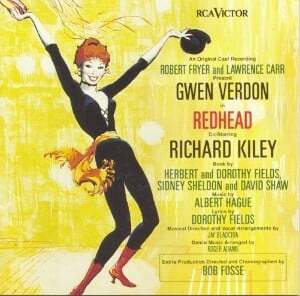 Nonetheless, Gwen Verdon did get her Tony® nomination. Verdon and Fosse, although now formally estranged, worked together on the musical Dancin’ (1978), and Fosse’s own thinly-disguised (if at all) film autobiography All That Jazz (1979). More and more, after Chicago Verdon appeared in films (The Cotton Club 1984, Cocoon 1985, Cocoon: The Return 1988, Alice 1990, Marvin’s Room 1996, Walking Across Egypt 1999) and on television (M*A*S*H, Magnum P.I., Dream On, Homicide), gaining three Emmy® nominations. In 1987, as Verdon and Fosse were attending the opening of a revival of Sweet Charity in Washington, D.C., Fosse collapsed in her arms outside the theatre. This time the heart attack was fatal. As a memorial in late 1999, Verdon and daughter Nicole joined Ann Reinking (Fosse’s live-in companion) to produce Fosse: A Celebration of Song and Dance, showcasing many of his greatest numbers. 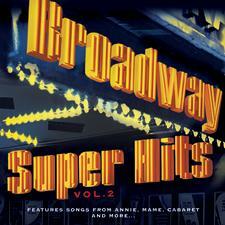 Celebrate Broadway, Vol. 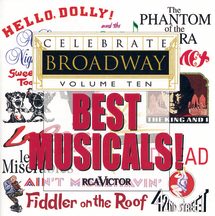 10: Best Musicals!